Remove flowers from box by cutting any straps. Do not remove the cardboard sleeve or the rubber bands holding the flowers together in a bunch. It is recommended to leave the cardboard sleeve on for 4 to 8 hours. This will allow the Rose sufficient time to hydrate properly. Remove any leaves that fall below the water line. 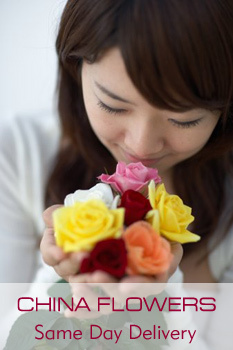 Not removing the leaves may cause bacteria to form and shorten the rose’s life. Wear gloves while preparing the flowers, as the tint for any tinted variety may seep from the stem and temporarily stain hands and/or permanently stain clothing. 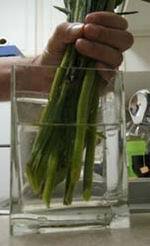 Using sharp scissors or a knife, cut the stems diagonally under running water approximately one inch from each stem’s bottom edge. Allow flowers at least 4 hours to hydrate well. Roses may take up to 12 hours to properly hydrate. 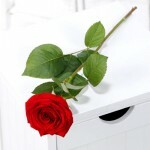 To keep the roses fresh, change the water every 24 to 48 hours or when the water becomes cloudy. The water color will change if this is a tinted product. Simply change water as directed. Assure that your flowers have sufficient water. The flowers will drink an exceptionally large amount of water upon arrival. 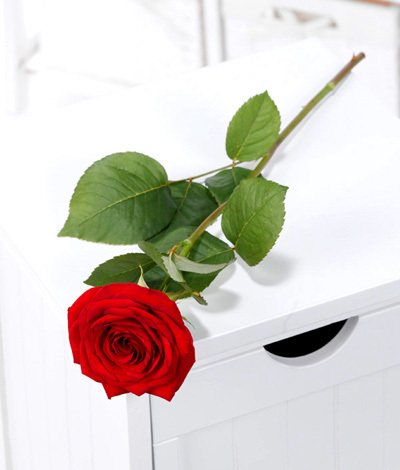 Remember that exposing roses to heat will help the flower to bloom, and storing your roses in a cooler environment will slow down the opening process. Time is extremely important!! When you receive your flowers you will need to care for them immediately. Your roses will arrive thirsty after their journey. If petals are drooping or the flowers look wilted, DO NOT BE ALARMED! You are going to provide care for the flowers just like a professional florist! Please open the box as soon as you receive it! Check to make sure you received the correct amount of flowers. Carefully remove all plastic and rubber bands. Be sure to always treat your flowers with care! 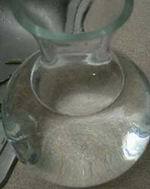 Remove any foliage from the flowers that fall below the water line of your vase. In removing foliage, care should be taken not to damage the stem. The reason for removing any foliage below the water line is to prevent growth of bacteria which would result in premature wilting. 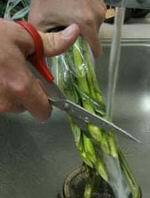 Using a sharp knife or scissors cut your flowers at an angle which will allow for a larger surface for water absorption and prevent the ends of your stems from sitting flat in the container blocking water absorption. If possible, you should cut your flowers underwater which will prevent any air bubbles, which can cause blockages in the stems. 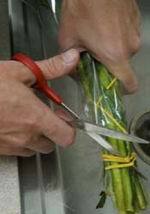 Immediately after cutting your flowers, place them in the prepared container. Make sure to cut every stem. If possible, place your flowers in a cool dark corner overnight before arranging them – out of direct sunlight and direct drafts. If you see that some flowers are still drooping after 3-4 hours, it’s possible an air bubble has formed, re-cut following the above directions. 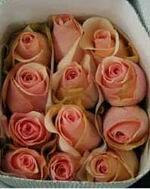 Examination have been considered for rose cutting.I love it and my favorite flowers is rose.